The European Union’s trade ministers were unable to reach consensus on the EU-Canada trade agreement at today’s Council meeting, as Belgium has stood in opposition to the deal. Belgium was unable to agree on CETA today as the French-speaking Walloon Region’s Parliament voted last week to oppose the deal. The national trade minister was unable to go ahead with the agreement without the consent of its regional parliaments. In addition, Bulgaria, Romania and Slovenia are still making the trade deal a matter of reaching final agreement with Canada on visa regulation for their citizens, equal to those with all other EU member states. Mineur also raises concerns over the pressure that Belgium now faces: “They have been given three more days to find a way to agree on CETA. Millions of people across Europe will be watching anxiously and I sincerely hope that Belgium will be able to stay strong and resist the pressure to cave in to the neoliberal demands of this agreement. “CETA, TTIP, TiSA and other new generation trade agreements will have dramatic consequences not only for consumer and labour standards and social and environmental protection, they will also intervene deeply in member states legal systems through the investment court system. If passed, these agreements’ definitions of ‘regulatory co-operation’, would set in concrete a world trade architecture in which the multinational companies have their way. 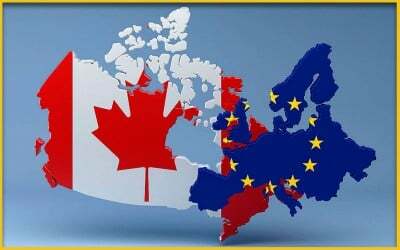 “The insistence of the European Commission and the overwhelming majority of member state governments to complete CETA show that they have absolutely no regard for the critical opinions expressed by large sections of civil society. “Not only has the Walloon Parliament in Belgium stood up against this agreement, tens of thousands of people all over Europe protested against it on September 17. Now the Commission and member states must listen,” concludes Scholz.